A very nice "Big Bear" by Steve Johnson. 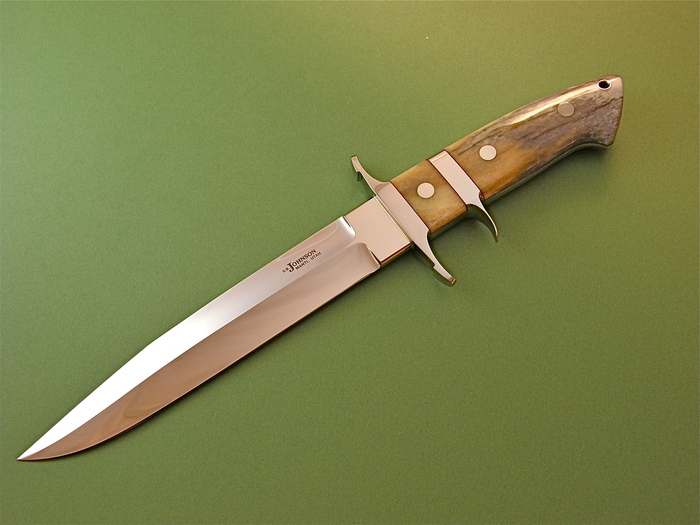 This knife has Giraffe Bone handles. Steve does not make many Big Bears, they are rarely available for resale.